A stunning raven to wrap around your finger. This raven has been lovingly hand cut from thick sterling silver and decorated by hand - there is no mass production involved in his creation. 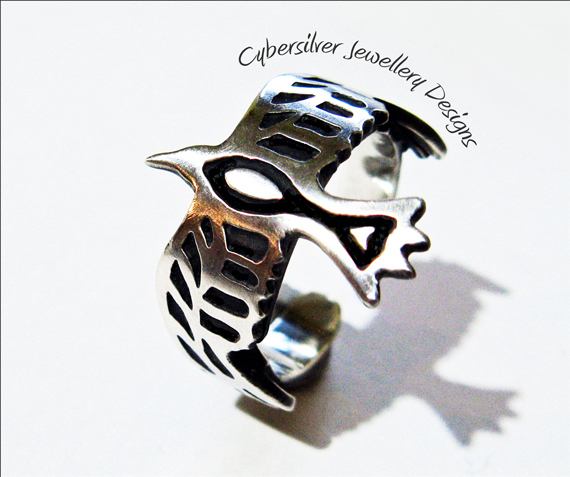 He wraps around an inner adjustable silver ring.